Now, pay attention, because there will be a quiz at the end. US Representative Glenn Grothman was on the radio with squawk show host Chuckles Sykes when the conversation went to the tragic shooting in Dallas. Grothman was quick to point out that race relations in general were worse since Barack Obama came into office and knew exactly why. Grothman then said Obama needed to take a "moral stand" with Sharpton and should warn blacks to stay away from Black Lives Matters. Of course, Grothman probably considers himself an expert on race relations. After all, it was Grothman who said that honoring Martin Luther King, Jr. was an insult to taxpayers and that Kwanzaa was a fake holiday that only white liberals cared about. OK, now here is your pop quiz: What is the color of Glenn Grothman's white robe and hood? 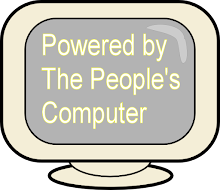 They love to make that claim over and over again, on both talk radio and message boards. Yet, they can never really mention anything specific Obama has said or done that has "Made race relations worse." I guess walking around looking and being black is enough reason for them. 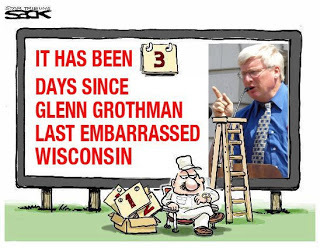 grothman is a total loser. he should be trumps running mate. I do not know why you even take the time to quote his nonsense. better to be on the stage with Sharpton than under it with walker. blaska are you out there? Come on Sheboygan, Manitowoc, Oshkosh! DO BETTER than this Gross-man. Have you investigated the most conservative areas in Wisconsin? I live in south-eastern Sheboygan county, the heart of Dutch Country. 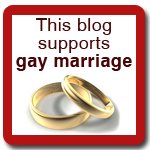 This is an inbred hotbed of conservatism fueled by religion. What you and I consider insane means nothing to these folks. The abortion issue, their never-ending whining about religious discrimination and their love of guns demands that these folks vote Republican and that they adore the Tea Party. 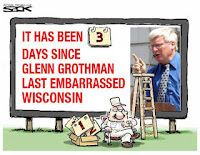 Until we can restore fairness in elections by undoing the gerrymandering, we will continue to be ruled by more and more extreme right wing politicians just like Grothman. Makes me wonder why we are obsessing over Trump? This guy others like Lasee are every bit as insane and are already at work doing their deeds. Trump is just the latest edition to the set. The Wingnut Party has evolved into a Party of very, very stupid people... and they are proud of it. Glen Grothman was elected by people who share his views. Shame on them. except of course most of them aren't closet cases like Grothman.